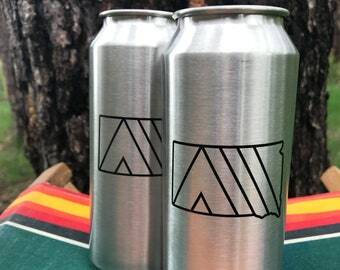 These tall boy beer can shaped pints feature my Camp SoDak design with the South Dakota State outline and a tent illustration inside the state, printed in black. 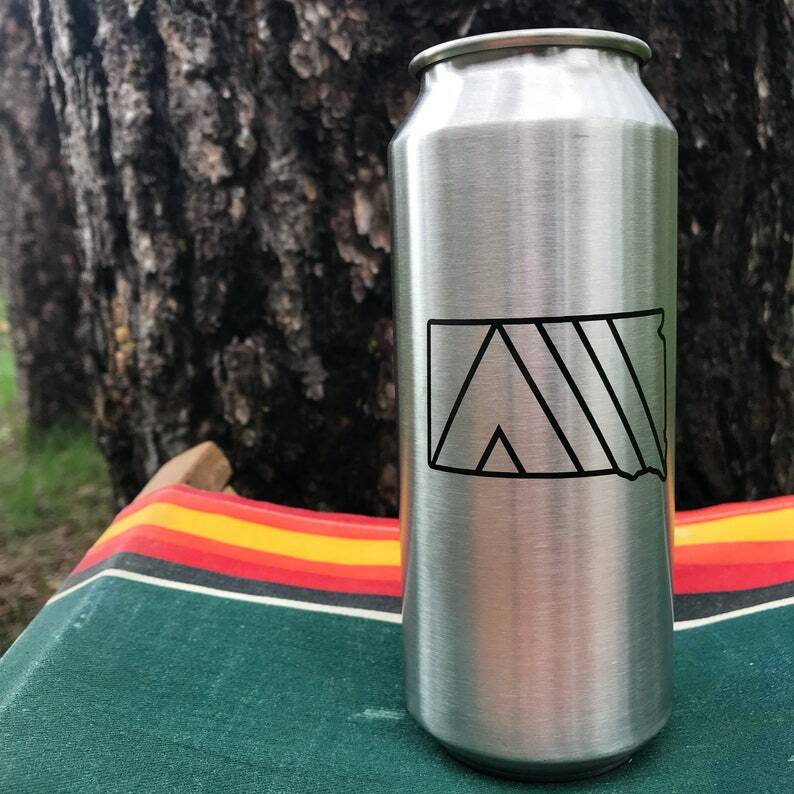 The other side of the pint features the MiiR logo and the bottom of the cup features the code for the water/health project that Miir helps fund. 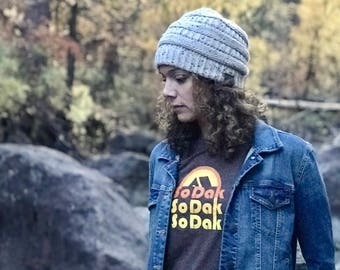 Check out their company and all of the awesome projects that they have helped make happen! I am very proud to partner with them to make these pints!